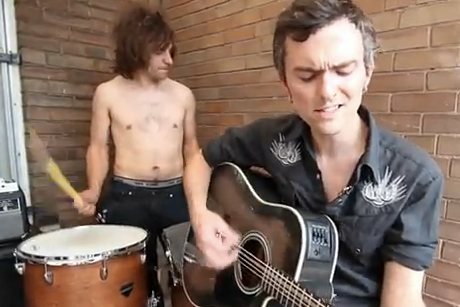 Slates Perform "Dirt Don't Care"
Edmonton punk rockers, Slates, journeyed on a Canadian tour in July and while in Ontario, the guys stopped by the Exclaim! office to play us an acoustic rendition of their song "Dirt Don't Care," off their Tour seven-inch. Very few bands can pull off a song that's all about dirt, but these guys managed to do it. Luckily the weather wasn't too hot, so they played out on our back porch. Check out the video above!